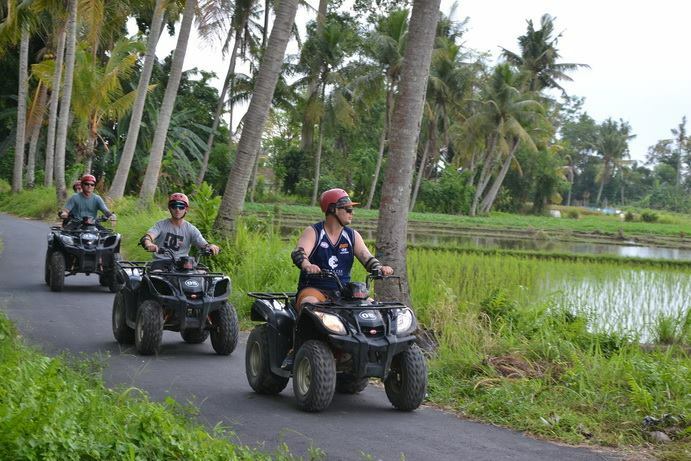 Best ATV ride adventure in Bali island, experience the most excited ATV ride exploring Bali countryside and forest with lots of fun and challenging. The adventure of riding an ATV to explore the countryside, the stretch of rice fields and rivers is indeed an unforgettable experience. We will invite visitors to feel something that is driving and challenging while riding an ATV bike. You will be guided by our experienced guide who certainly gives a sense of security in driving to explore this field. It doesn't matter if you have never ridden an ATV before because before starting to drive you will be given instructions to smoothen and test the track so that you will feel you can pass the circuit that we are going to pass. and certain instructions will be given beforehand. The duration of the exploration is around 2 hours, before going back to the hotel, we invite you to stop by the Bali coffee garden to see the process of making coffee and the most popular is coffee civet and offering you the free tester of their product. So, via this adventure, we would like offering you a sense of experience to complete your fun vacation in Bali.